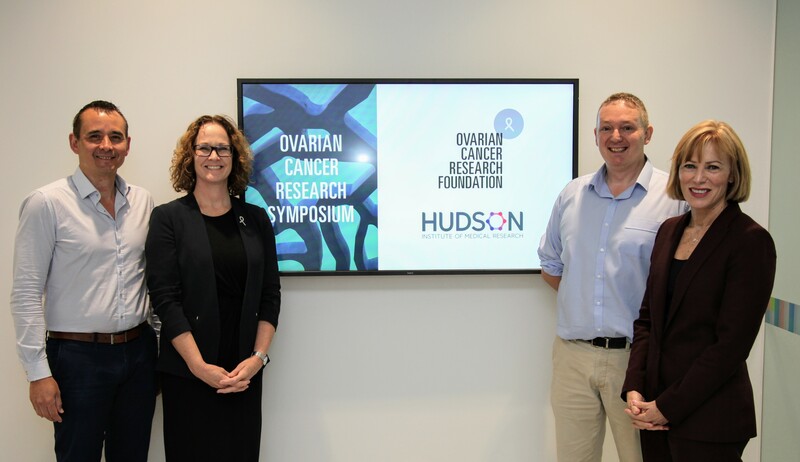 Ovarian cancer research leaders from across Australia met at Hudson Institute of Medical Research on Thursday, 15 November, for a new research symposium focused on progressing solutions to the disease. The Ovarian Cancer Research Foundation (OCRF) hosted the inaugural Ovarian Cancer Research Symposium at the Institute, providing opportunities for ovarian cancer scientists to present research, network and forge new collaborations. 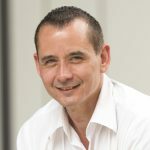 Other presenters came from the University of Queensland and University of New South Wales, while Dr Simon Chu (Head of the Hormone Cancer Therapeutics Research Group), Dr Maree Bilandzic, Dr Sue D Xiang and PhD candidates Amy Wilson and Laura Moffitt from Hudson Institute also presented their research. Ovarian cancer is the deadliest gynaecological disease, with the five-year survival rate a devastatingly low 45 per cent. It’s known as the ‘silent killer’, as women with early stage ovarian cancer commonly do not present with any symptoms. 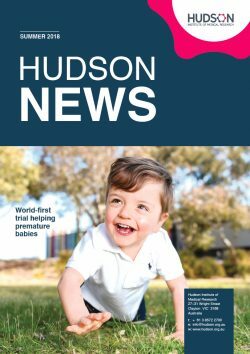 “Hudson Institute is a leader in ovarian cancer research, and has a long and proud history with OCRF,” Hudson Institute’s Director, Professor Elizabeth Hartland said. 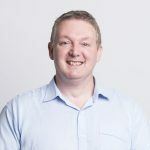 “We are delighted to be hosting this symposium to facilitate important knowledge and connections in medical research, which will ultimately lead to discoveries and better outcomes for the 1613 Australian women diagnosed with ovarian cancer each year,” she said. The Ovarian Cancer Research Foundation was established in early 2000 and supports ovarian cancer research by funding scientific grants aimed at saving women’s lives through early detection and personalised treatment. “We are very excited about establishing the inaugural ovarian cancer research symposium. We know the importance of collaboration and communication in progressing the understanding of this deadly disease. The more people involved in research and networking, the greater strides we will take towards a cure. Thank you to the Hudson Institute for the support provided in helping bring this symposium to fruition,” said Chief Executive Officer of the OCRF, Lucinda Nolan. This news article was posted on 15 November, 2018 .